“We are thrilled to partner with two fellow cultural institutions who each contribute immeasurably to New York City’s vibrant cultural landscape,” said Elizabeth W. Smith, President and CEO of the Central Park Conservancy. Hair (1979, PG) – Directed by Milos Forman (who died this year), choreographed by Twyla Tharp, and based on the popular Broadway musical of the 60s, this classic comedy-drama tells the story of Claude, a young man from Oklahoma who comes to New York City on his way to joining the Army and strikes up a friendship with a group of hippies in Central Park. Crooklyn (1994, PG-13) – Directed by Spike Lee and written by Lee with his sister Joie Lee and brother Cinqué Lee, this semi-autobiographical comedy-drama about a school teacher, her stubborn jazz musician husband, and their five kids takes place in Brooklyn in 1973. The film features a memorable performance by the director himself. In 2017, the film was the winner of the mayor’s inaugural “One Film, One New York” contest, which invited New Yorkers to vote on which of five city-related films should be shown for free at cinemas across the five boroughs. Dr. Strangelove or: How I Learned to Stop Worrying and Love the Bomb (1964, PG) – Bronx-born director Stanley Kubrick co-wrote, directed, and produced this witty political satire about Cold War politics and an accidental nuclear attack. Starring Peter Sellers and George C. Scott, this landmark film was the first commercially successful political satire about nuclear war. Throughout the summer Stanley Kubrick’s work as a photojournalist for Look magazine will be featured in an exhibition at the Museum of the City of New York called Through a Different Lens: Stanley Kubrick Photographs featuring more than 120 photographs by the iconic director from the Museum’s archive. The Muppets Take Manhattan (1984, G) – Directed by Frank Oz, this fun confection of old-fashioned entertainment features Kermit the Frog, Miss Piggy, and the whole Muppet crew striving to bring their variety show, “Manhattan Melodies”, to Broadway. The Museum of the Moving Image recently opened the Jim Henson Exhibition, a permanent exhibition featuring Henson’s groundbreaking work for film and television and its transformative impact on culture. 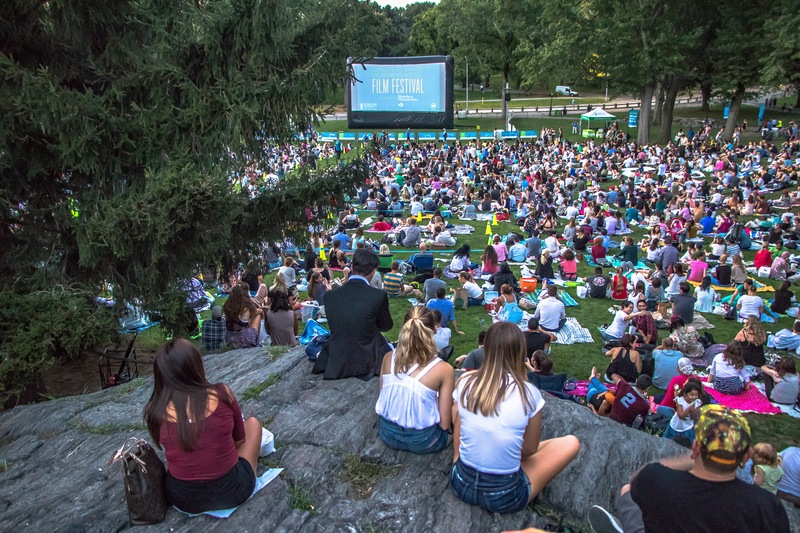 A beloved summer tradition, the Central Park Conservancy Film Festival has screened critically acclaimed films in Central Park each August since 2002. Films are free of charge; no tickets are required. 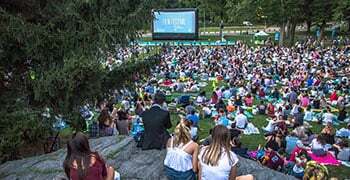 The screenings will take place around 8:00 p.m. at Central Park’s Frisbee Hill — the landscape north of Sheep Meadow (mid Park at 69th Street beside Le Pain Quotidien), which is accessible from the east and west sides of the Park at 72nd Street. Bloomberg Philanthropies works in nearly 480 cities in more than 120 countries around the world to ensure better, longer lives for the greatest number of people. The organization focuses on five key areas for creating lasting change: Arts, Education, Environment, Government Innovation, and Public Health. Bloomberg Philanthropies encompasses all of Michael R. Bloomberg’s charitable activities, including his foundation and his personal giving. In 2017, Bloomberg Philanthropies distributed $702 million. For more information, please visit www.bloomberg.org or follow us on Facebook, Instagram, Snapchat, and Twitter. The Museum of the Moving Image (movingimage.us) advances the understanding, enjoyment, and appreciation of the art, history, technique, and technology of film, television, and digital media. In its stunning facility — acclaimed for both its accessibility and bold design — the Museum presents exhibitions; screenings of significant works; discussion programs featuring actors, directors, craftspeople, and business leaders; and education programs which serve more than 50,000 students each year. Founded in 1923 as a private, nonprofit corporation, the Museum of the City of New York celebrates and interprets the city, educating the public about its distinctive character, especially its heritage of diversity, opportunity, and perpetual transformation. The Museum connects the past, present, and future of New York City, and serves the people of the city as well as visitors from around the world through exhibitions, school and public programs, publications, and collections. To connect with the Museum on social media, follow us on Instagram and Twitter at @MuseumofCityNY and visit our Facebook page at Facebook.com/MuseumofCityNY. For more information, please visit mcny.org.